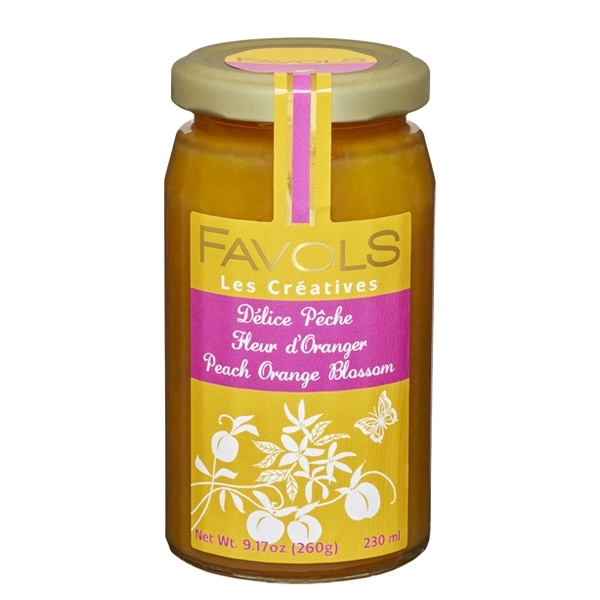 Imported directly from France, this Peach Jam with Orange Blossoms is fresh and sophisticated. Enjoyed over vanilla yogurt or spread in crepes, its bright sweet and floral flavor lends itself to many culinary applications. This jam pairs beautifully with any of our afternoon teas and tisanes , providing you with a bit of holiday to your Tea Time-Me Time experience. Ingredients: Peach, orange flower water, cane sugar, lemon juice, fruit pectin.